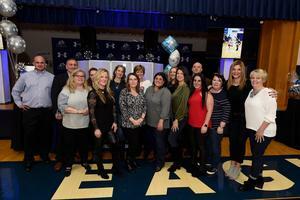 Please join us for the annual IHA Beefsteak on January 26, 2019. 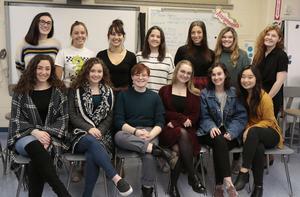 On January 9, 2019, IHA’s National Art Honor Society hosted its annual Art Alumnae Event in IHA’s beautiful art studio. 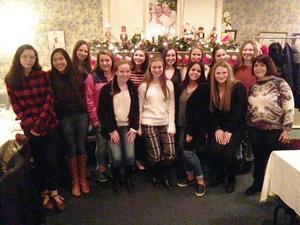 Sixteen IHA French students in our French I to French IV AP courses went to Madeleine’s Petit Paris in Northvale for a Christmas celebration together with World Language teachers, Dr. Arta Boutcher and Mrs. Maria Daly-Valls. Christmas came early for many of our amazing seniors! 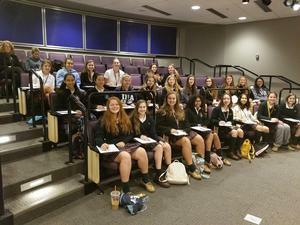 Congratulations to Christine Ajao'21 for recently being honored with the Archdiocesan Youth Discipleship Award. 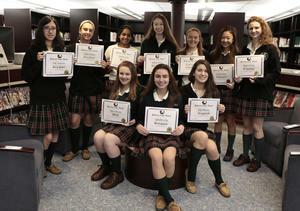 Nine IHA sophomores volunteered at the 13th Annual Butterfly Ball, benefitting Julia’s Butterfly Foundation. 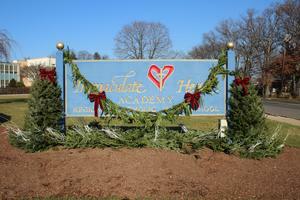 Please join us on Dec. 13 at 7 p.m. for our annual Christmas Concert in the PAC. An Artists' Reception will be held at 6:30 p.m. in the main lobby.